Confirming the rumors, the company Samsung has announced the new tablet Galaxy Tab 7" Plus. The mobile device has only 9.96 mm thick and weighs approximately 345 grams. Account with an LCD display WSVGA with resolution of 1024 x 600 pixels and is based on the mobile operating system Android 3.2 Honeycomb. Among other features, including a dual-core processor of 1.2GHz, 1GB of RAM memory, camera rear 3-megapixel with LED flash capable of recording videos HD 720p, camera on the front of 2 megapixels, accelerometer, battery of 4000 mAh and sensors drawing, proximity and ambient light. In terms of its connectivity, the tablet Galaxy Tab 7" Plus card has support for HSPA networks + (21Mbps/ 5.76mbps) and GPRS/EDGE, in addition to Bluetooth 3.0 , Wi-fi 802.11b/g/n and Wi-fi , Direct. Let us remember that the Galaxy Tab 7" has 512 MB ​ ​of RAM memory, a processor of a single core of GHz 1 and a version of Android optimized for smartphones and not for tablet pc. 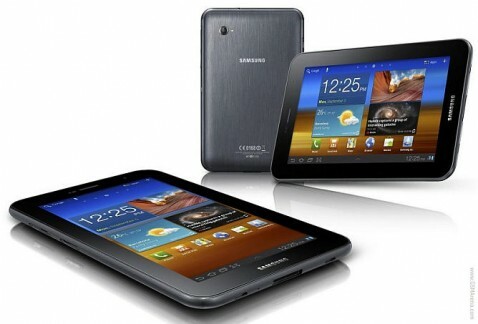 Another difference is that the tablet Galaxy Tab 7" Plus will be equipped with the new user interface TouchWiz. The device will be marketed in two versions, one of 16 GB and another 32 GB of internal storage, and would be launched mid month of October. Its cost has not yet been informed.